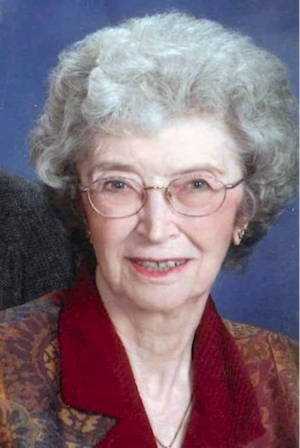 Obituary – Meadors, Patricia Joan (Pruett) « Perry High School Alumni Association, Inc.
﻿President of Y-Teens 47-48, Assistant Editor Perryscope 47-48, Y-Teens 46-48, Homeroom Secretary 47-48, Library 45-47, F.T. A. 47-48. Patricia Joan Pruett Barr Meadors was born November 13, 1930 and the world brightened. On Sunday evening, May 11, 2014, a day for honoring mothers, she left this world too soon. Born in East St Louis, Illinois to Mary Lucille and Francis Gordon Pruett, she grew up in Carlyle, Illinois. An only child, Pat and her mother moved to Perry, Oklahoma where she attended junior high and high school before moving to Tulsa to attend Business school. 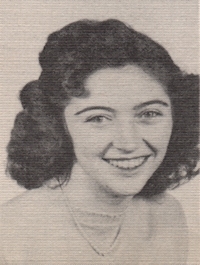 Returning to Perry, she married Billy Alfred Barr and had three children, Bill Grant, Marlis and Brenda. Bill preceded her in death in an oil field accident leaving her a young widow. On August 19, 1958 Pat started the next journey of her life when she met Lou Meadors on a blind date. Pat and Lou married in November 21, 1958 and in 1960, Gregory Lee was born. Through Lou’s military service, the family moved to Itazuki Air Force Base in Fukuoka, Japan, to Prattville, Alabama and then finally to Enid, Oklahoma. Pat worked for Pillsbury in the business office before retiring after 16 years, so she could travel with Lou across the country and Europe.Pat and Lou have been members of First United Methodist Church of Enid for 44 years. An active member, Pat was also a genuine friend, reaching out to the new families, kids and anyone attending church by themselves. Many were treated to her “friendship” bread which she baked and delivered to about everyone along with a hug. Pat was loved and cherished by her partner in life, Lou, her children, Bill Grant Barr and wife Cheryl, Marlis and husband Pat McDowell, Brenda Newsom, Greg Meadors and wife Julie Griffin, and “added” daughters Earline Cockrum, Becky Yasumoto, Janice and John Cottle and family. She was also blessed with grandchildren and great grandchildren: Laurell and Kevin Ellis and family, Roseand Lindsey Kuhn, Caroline and Ben Barajas, Lisa and Joshua Sagaser and family, Alex and Chanteal McDowell and family, Emma Newsom and fiancé Jamie Holland, Griffin and Patricia LeeAnne Meadors, niece and nephew NancyMatheny and Mike and Cindy Matheny and families. Her list of family also includes many “adopted” families and couples from church and life, her “GiggleBuddies” and the “Braum’s Babes”. Pat was preceded in death by her parents and stepfather Wayne Roberts, first husband Bill Barr and son in law Paul Newsom. Because of her love of children, memorials can be made to the United MethodistCircle of Care through the First United Methodist Church in Enid with Ladusau-Evans serving as custodians of the funds. A Celebration of Life service for Patricia “Pat” Joan Pruett Barr Meadors age 83of Enid will be 11:00 am Monday at the First United Methodist Church with Rev. Susan Southall officiating. Burial will be at a later date in the Grace Hill Cemetery Perry, OK. Cremation and services are under the direction of Ladusau-Evans Funeral Home. The family will receive friends at funeral home from 5:00 to 6:30 pm Sunday, May 18, 2014.